On the fourth of July weekend in 1939, the first World Science Fiction Convention (Worldcon) was held in New York City. 200 people attended. It has met yearly since, except during WWII. Despite its name, Worldcon didn’t leave the United States until 1948, when it was held in Toronto. It didn’t leave North America until 1957 when it was held in London. It didn’t leave the English speaking world until 1970 when it was held in Heidelberg. Worldcon is best known for the fact that it gives out the Hugo Awards. In 1948 the LA Science Fantasy Society started a west coast convention (Westercon) for those who couldn’t afford to go east for Worldcon. This competing event also meets yearly. In those years when Worldcon meets outside North America, a North American Science Fiction Convention (NASFiC) is held somewhere in the US. This year’s Worldcon 76 will be held in San Jose, California August 16-20. In 2019, Worldcon will be held in Dublin, Ireland, so a NASFiC should be held. The bid, which will be decided in San Jose, is for Layton, Utah on July fourth weekend. This year’s Westercon starts tomorrow in Denver. Next year it will be in Utah — Layton, Utah, to be precise. Yes, you did see them palm that ace. In 2019, Westercon, which began as an alternative to Worldcon, and NASFiC, which occurs only when Worldcon is somewhere else in the world, will be the same convention. I wonder how that is going to work out? Just fine, I would imagine. I attended Westercons 33 and 34 in Los Angeles and Sacramento shortly after my first two novels came out. 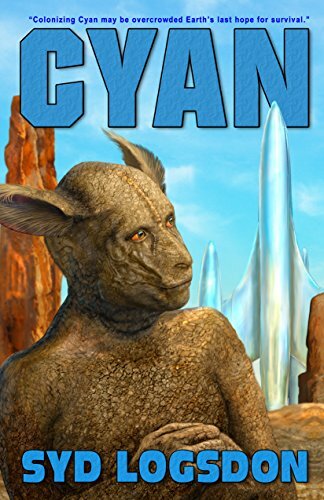 I attended Westercon 70 in Tempe last year just after Cyan was published. In preparation for that convention, I made eighteen posts here on a number of subjects that would be covered on panels in Tempe. If you missed them, or if you want to see “How to Build a Culture” which I presented at Westercon 34, click on Westercon in the menu bar at the top of this page. This year I am skipping Westercon 71, Denver, for my first Worldcon, just down the hill a hundred miles or so in San Jose. This should be fun. This entry was posted in A Writing Life and tagged fantasy fiction, history, memoir, science fiction, steampunk, Westercon, writing on July 3, 2018 by sydlogsdon. Marquart rode into my life on horseback. The day after my epiphany, I had a couple of hours off. I was in the Navy at that time, working as a dental technician in an oral surgery, and we had back-to-back cancellations. I wasn’t a writer yet, just an over-committed reader, but I had written the first chapters of a dozen novels. That was usually as far as I got before the impulse ran out. I took that two hours to write Marquart and his companion’s entry into the Valley of the Menhir. You can see what it eventually became over in Serial today, but it took a long time to reach that level of sophistication. When Marquart first rode into the valley, forty-six years ago, he was riding a horse. It was all very medieval because I hadn’t done any world building. 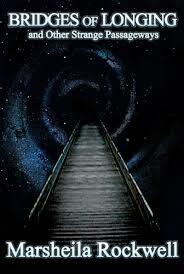 All of the religious aspects aspects of the story, enreithment, the relation of souls to bodies, and both to ai — even the existence of ai — were nowhere in my mind. It was just a bunch of soldiers in armor riding horses into a valley populated by deer and dotted with oaks. The only fantasy element was a werewolf. I didn’t even know then that shapeshifters were not native to the world of the menhir, having been brought in through the Weirwood menhir from the world of Lorric by the Shambler. I didn’t even know there was a Shambler, nor any of the other gods that you met during the last two weeks. After two hours I had a short chapter, and the next customer knocked on the door, ready to have his wisdom teeth extracted. I put the chapter in a drawer. I wasn’t a writer then, and had no intention of becoming one. Three years later, I decided to give writing a try and got hooked. Two years after that I pulled out that chapter, dusted it off, and started world building. All this was about the time of the fantasy revival led by Ballantine, and there was no lack of books on how to create fantasy worlds. Purists were arguing that a simply medieval world hardly qualified as fantasy. I could see their point. Although it never kept me from enjoying fantasies that did not rise to that standard, I decided that horses just weren’t going to work for me. During those Navy years I had lived near the San Diego Zoo Safari Park. 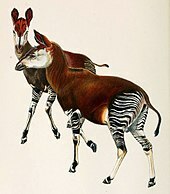 On one trip there I had seen okapi, had fallen in love with them, and now added them to the book. That lasted about a week before I realized that I needed a true fantasy creature, not just a real one most people had never heard of, so I created kakais in okapi’s much jazzed-up image. Their heavily sloped backs — much sharper than okapis — gave me the need and opportunity to design strange saddles which would require unusual practices for troops in the field. They also gave me reason to design a harsh culture for the riders of the plains, the Dzikakai (literally, men of the kakai) who were going to be the perennial enemies of the people of the Inner Kingdom. Eventually, I populated the world of the menhir with a mix of “normal” and created critters. Besides kakais, I brought in tichan as bovine substitutes, added krytes (described and used for plot purposes) and jaungifowl to my list of birds, made my bears red, and kept ordinary squirrels and deer. Plot building, world building, and language building all took place as I wrote successive drafts. I don’t recommend the technique. Not only did it take me decades to finish the project, but I ended up with at least a hundred thousand words of text that had to be cut out as the project grew out of hand. Maybe a few chunks of that will end up in Serial late this year, but most of it will never be read by anyone but me. Still, I doubt if this particular fantasy could have been written any other way, so I guess I shouldn’t complain. At least that’s what I tell myself. I wish I had said that. Maybe sometimes we do try too hard. This entry was posted in A Writing Life and tagged literature, memoir, menhir, science fiction, Westercon, writing on June 4, 2018 by sydlogsdon.